Iranian President Hassan Rouhani has said his country would never build nuclear weapons, US media reported on Thursday. Rouhani also told US broadcaster NBC he had full authority to negotiate with the West over Tehran’s uranium enrichment programme. And he described a recent letter sent to him by US President Barack Obama as “positive and constructive”. The 10 other detainees – seven women and three men – are said to include reformist politician Mohsen Aminzadeh. 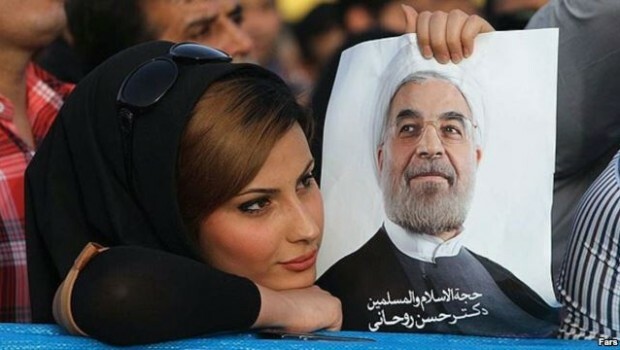 In his election campaign earlier this year, Rouhani promised to free political prisoners. He also pledged a more moderate and open approach in international affairs. Rouhani’s decision to speak to a major US news organisation shows the importance to his government of reconciliation with Washington. Iran is under UN and Western sanctions over its controversial nuclear programme. It says it is enriching uranium for peaceful purposes but the US and its allies suspect Iran’s leaders of trying to build a nuclear weapon. The White House on Wednesday gave details of the recent exchange of letters between Obama and Rouhani. “In his letter the president indicated that the US is ready to resolve the nuclear issue in a way that allows Iran to demonstrate that its nuclear program is for exclusively peaceful purposes,” said White House spokesman Jay Carney. “The letter also conveyed the need to act with a sense of urgency to address this issue because, as we have long said, the window of opportunity for resolving this diplomatically is open, but it will not remain open indefinitely,” he added. The moves come a day after Iran’s Supreme Leader, Ayatollah Ali Khamenei, gave the strongest sign yet of Iran’s potential flexibility in future talks with the West. The head of Iran’s nuclear agency told reporters in Tehran on Wednesday that he expected “a breakthrough” this year in settling the nuclear issue with the West. “We are very optimistic about the process that has started to resolve the nuclear issue,” said Ali Akbar Salehi.